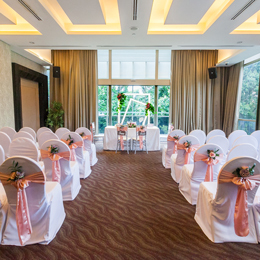 Hotel Fort Canning offers different pre-designed wedding themes filled with elegant touches for your beautiful day. 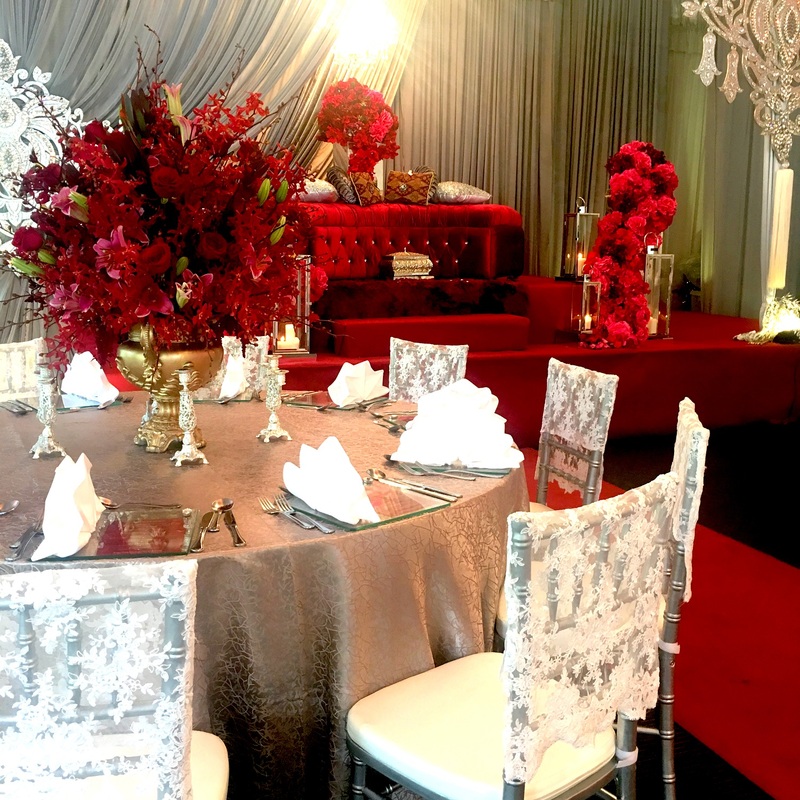 Each theme has been thoughtfully designed to include every exquisite detail, from the bouquet and ceremony décor to the cake and reception table. 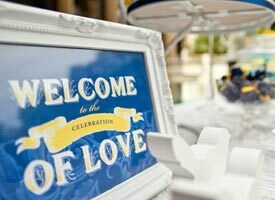 Add your own personal touches to create a custom wedding tailored just for you. View the complete 2019 Weddings in the Park brochure. Pay your elders the utmost gratitude in an exquisite tea ceremony overlooking our Garden Terrace. Celebrate a love that has come full circle at Singapore's largest air-conditioned indoor marquee. Bask in the joy of a dream come true at our award-winning outdoor spot. Step into a wonderland for your Happily Ever After and be enveloped by lush greenery. Let your whimsical new beginning spring forth amidst charming grandeur. Rustle up a quaint countryside union which will have you falling in love with all things rustic. Be the blushing bride with this exquisite oasis that is as tender as your new chapter. 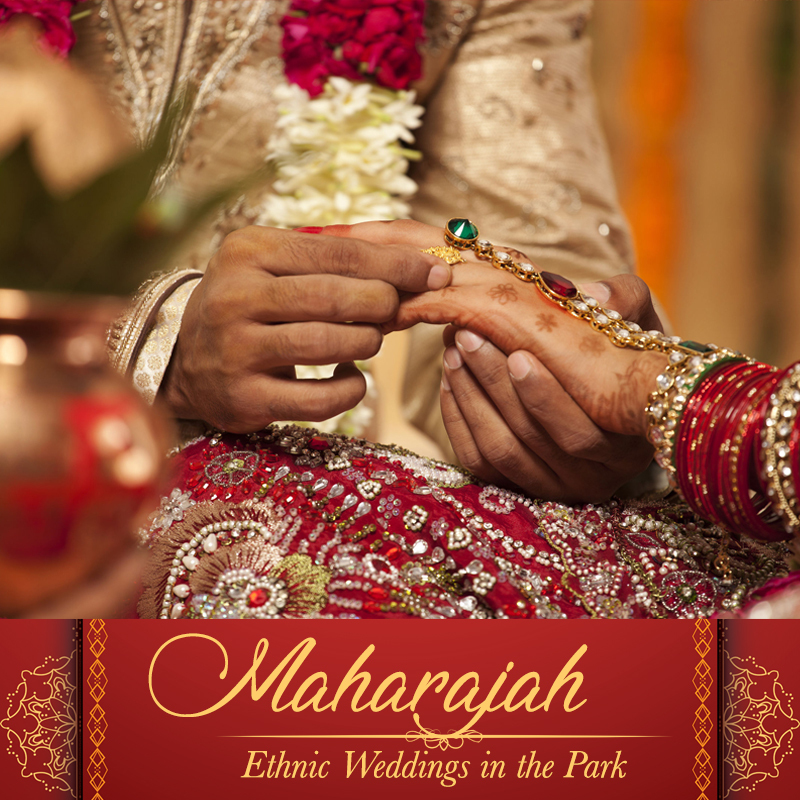 Reflect the flora and fauna of the Park at your blissful occasion with this botanical paradise. Be pretty in pink in this timeless embodiment of your mutual adoration and passion. Set the stage for two to become one in a picture-perfect union for the ages. Be drawn into love's passionate embrace accompanied by the fresh air of Fort Canning Park. Let the romantic elegance of these sweet blue hues sweep you away on your big day to forever. Share your happiness with your nearest and dearest in this intimate and understated setting. This beautiful venue features wide floor-to-ceiling windows and an unparalleled panoramic view of the tree-tops. This intimate venue boasts of beautiful floor-to-ceiling windows which give a panoramic view of the hotel's colonial facade and the lush greenery of the surrounding park. HFC Grand Marquee is the perfect setting for a grand romance. The Legends Ballroom is a magnificent setting for your wedding banquet. Elevate your wedding with expansive views of the blue sky, lush greenery and glittering mineral pool. Exchange your vows with understated elegance beneath swaying palm trees and glittering mineral swimming pools. Say your I-dos by daylight or starlight, let the Garden Terrace sweep you off your feet with its beauty. An intimate lush green terrace a cut above the rest of the world, overlooking Fort Canning Park. Pets permitted. Celebrate like royalty within our iconic indoor and outdoor wedding venues, complete with lavish Indian buffet selections and special privileges for an unforgettable experience. 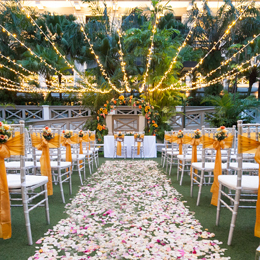 Wedded bliss begins at Hotel Fort Canning as our wedding specialists make your dreams of an ethnic wedding come true. 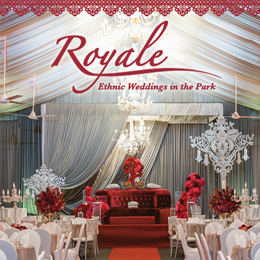 Weddings in the Park is a signature wedding showcase event by Hotel Fort Canning. 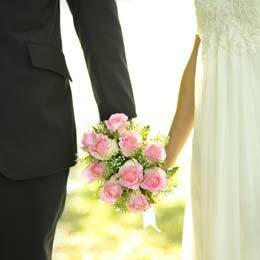 Let our wedding specialists assist you in making your wedding dreams a reality. From intimate receptions with stunning views of the park, to enchanting garden ceremonies, to sophisticated poolside weddings, our wedding specialists will assist you to plan your perfect wedding. 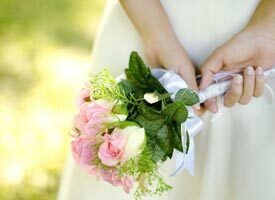 From flowers to wedding favours, themed weddings to age-old traditions, we meet every need and style. 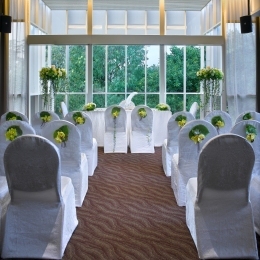 Combining resources, expertise and experience of our wedding team, weddings at Hotel Fort Canning are extraordinary. 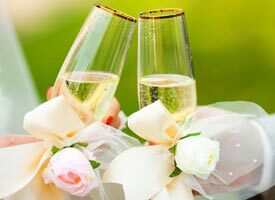 We ensure that everything is immaculately organised for your big day, with luxury accommodations for you and your guests.